Anyone who watches silent movies will notice how often crashes occur—trains, cars, and people constantly collide and drama or comedy ensues. 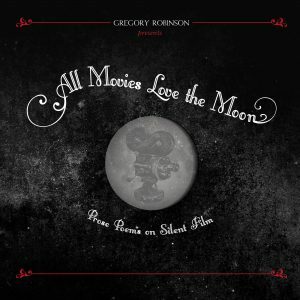 Gregory Robinson’s All Movies Love the Moon is also a collision, a theater where prose, poetry, images, and history meet in an orchestrated accident. The result is a film textbook gone awry, a collection of linked prose poems and images tracing silent cinema’s relationship with words—the bygone age of title cards. The reel begins with early experiments in storytelling, such as Méliès’ A Trip to the Moon and Edison’s The European Rest Cure, and ends with the full-length features that contested the transition to talkies. 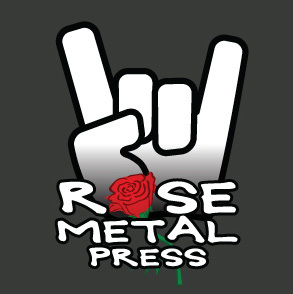 Of course, anyone seeking an accurate account of silent movies will not find it here. 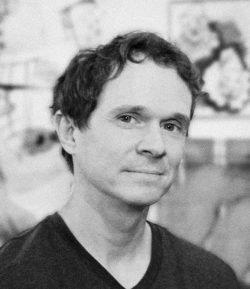 Through Robinson’s captivating anecdotes, imaginings, and original artwork, the beauty of silent movies persists and expands. Like the lovely grainy films of the 1910s and 20s, All Movies Love the Moon uses forgotten stills, projected text, and hazy frames to bring an old era into new focus. Here, movies that are lost or fading serve as points of origin, places to begin. Watch clips from many of the movies that make an appearance in All Movies Love the Moon on Gregory Robinson’s website here.